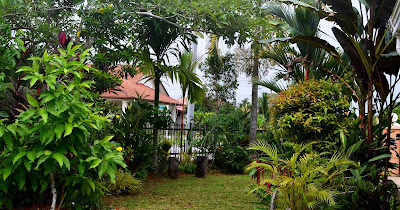 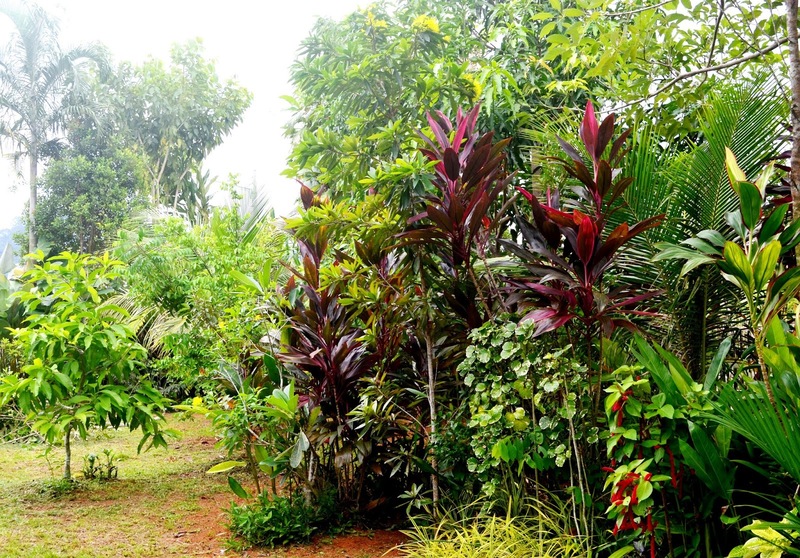 What's interesting on this trip (44th trip to Kuching) is to see the garden gradually maturing. 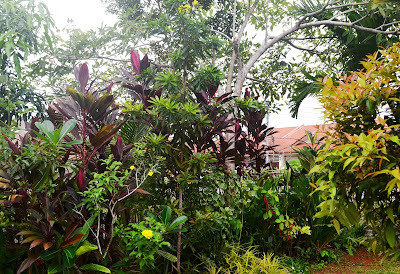 For one thing the trees are getting taller and giving out much shade and shelter to the birds. The lawn is steadily thickening and spreading out to areas that were lately developed. 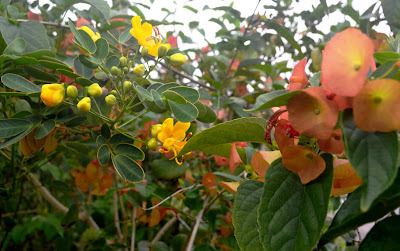 Three yellow flowers caught my eyes today. 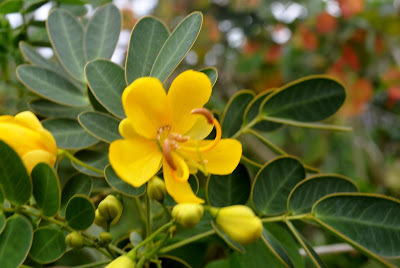 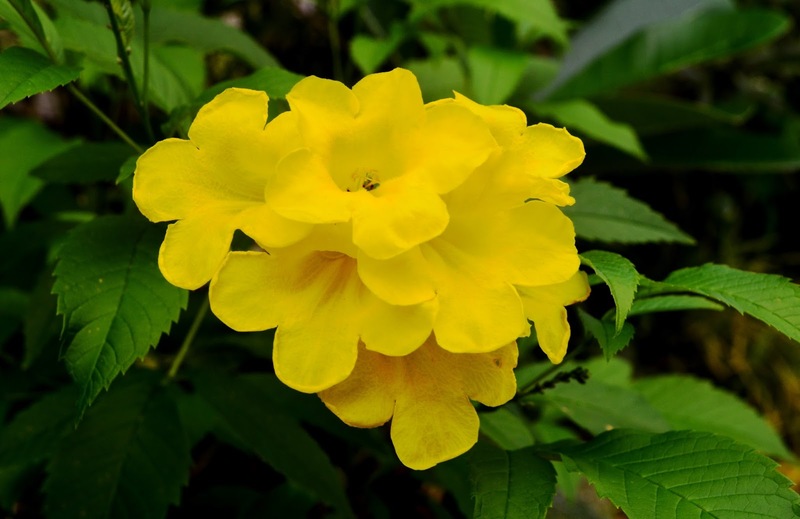 They are the flowers of the Yellow Bells ( Tecoma stans), Cassia biflora and the Golden Penda (Xanthostemon chrysanthus). The sights and sounds of a maturing garden are evidenced by the presence of 3 B's - birds, butterflies and bees, not forgetting other insects that would like to join in the list like the grasshoppers and beetles. 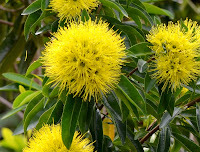 The flowers that bloom for the first time are Golden Penda ( Xanthostemon chrysanthus) and we felt rewarded now by our effort to introduce this plant in the garden nearly two years ago. 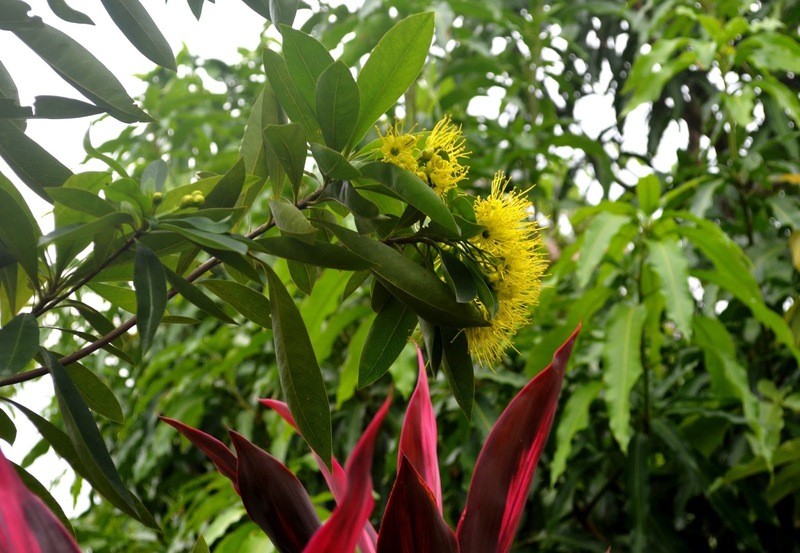 Note the Golden Penda yellow flowers at the top centre of the picture.